Chop the chicken breasts into small chunks. Mix all the ingredients, apart from the veg, together in a bowl. Add the chicken and leave to marinate in the fridge for at least 2 hours. Prepare all of your veg just before you are ready to start cooking. 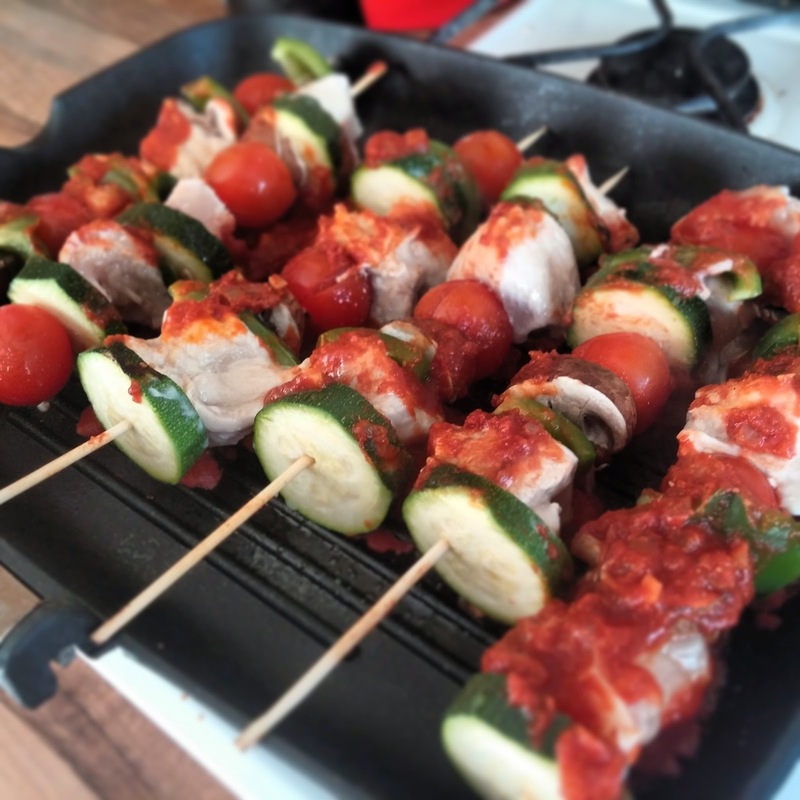 Layer the chicken and veg onto a kebab stick. Spray some fry light on a griddle pan and leave to heat up. 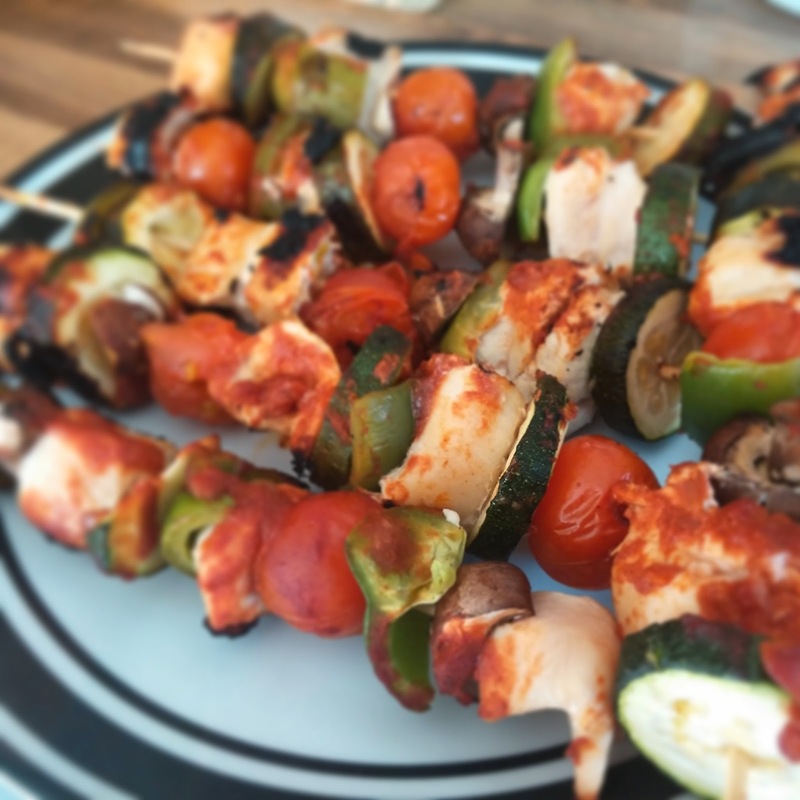 Cook the kebabs for about 20 mins, turning regularly. Check to make sure the chicken is cooked all the way through. Serve with a salad!